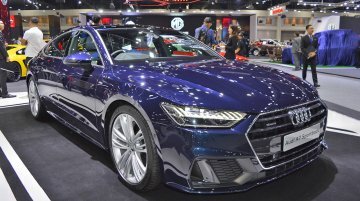 The Audi e-Tron has been put on display at the ongoing Bangkok Motor Show 2019. 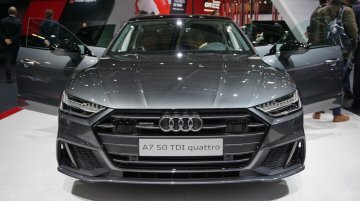 The all-electric SUV is being imported into Thailand via Meister Technik, the authorised distributor of Audi models in.. 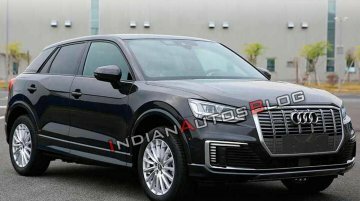 Weeks ahead of its official debut at Auto Shanghai 2019 next month, the Audi Q2L e-tron has leaked in all its glory. 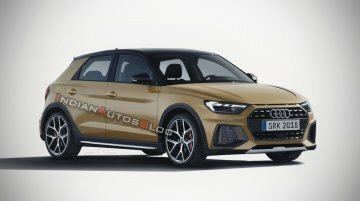 Here are the images giving you the first look at the German automaker’s brand-new..
Audi is working on an ‘e-tron’ pure electric variant of the Q2L. 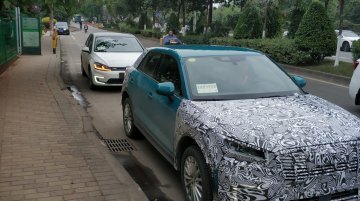 Latest Chinese reports say that the Audi Q2L e-tron will debut at Auto Shanghai 2019 that will run from 16-25 April. 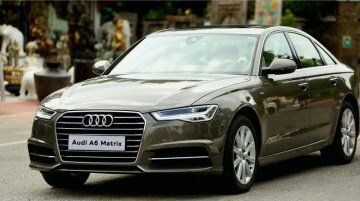 Audi India has come up with a limited edition of the current A6, while it still remains light-tipped on the introduction of the eighth generation model. 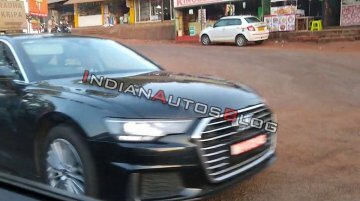 Dubbed Audi A6 Lifestyle Edition, it costs INR..
IAB reader Hrishi Pinjan spotted an eighth-gen Audi A6 undergoing high-altitude testing in Mahabaleshwar this week. 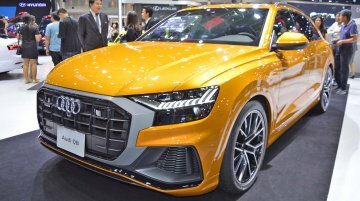 Introduced at the 2018 Geneva Motor Show, the all-new model will reach the Indian.. 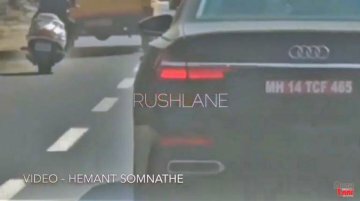 The 2019 Audi A6, which debuted at the 2018 Geneva Motor Show, was recently spotted testing in Pune by Rushlane reader Hemant Somnathe. The all-new model will hit the Indian market here in 2019 for a.. 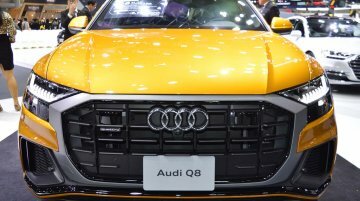 The Audi Q8 was displayed at the recently concluded Thai Motor Expo 2018. 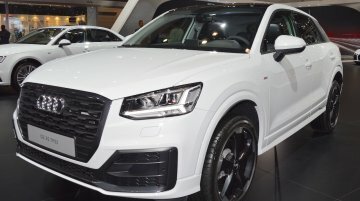 The flagship SUV has been on sale in Thailand for THB 6,799,000 (INR 1,45,79,391). 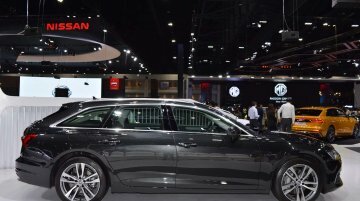 The 2018 Audi A6 Avant, which is the eighth generation of the estate version of the A6, was showcased at the Thai Motor Expo last month. 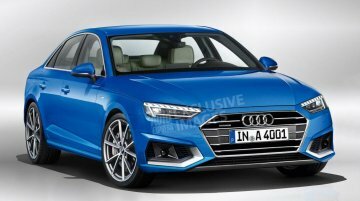 Available exclusively in the S-Line grade, the A6 Avant 55 TFSI.. 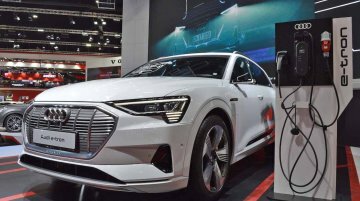 The Audi e-Tron had its European debut at the 2018 Paris Auto Show. 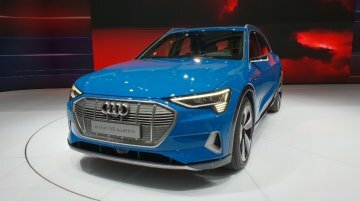 The four-ringed brand's first all-electric SUV is due to reach European customers towards the end of this year, and it costs.. 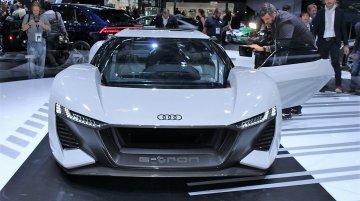 The Audi PB18 e-tron concept was shown at the 2018 Paris Auto Show. The PB18 (where PB stands for Pebble Beach where the concept originally had its debut this year, and '18' signifies the tech DNA it.. 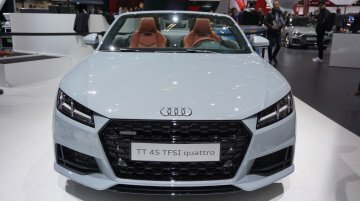 The 2019 Audi TT Roadster 20th Anniversary edition was showcased at the Paris Motor Show this month. 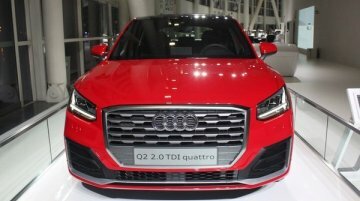 The new model will go on sale in Germany and other European markets around the end of the current..